What should a product manager do when their new product is followed by a similar one? So what’s going on here? It’s actually pretty simple. 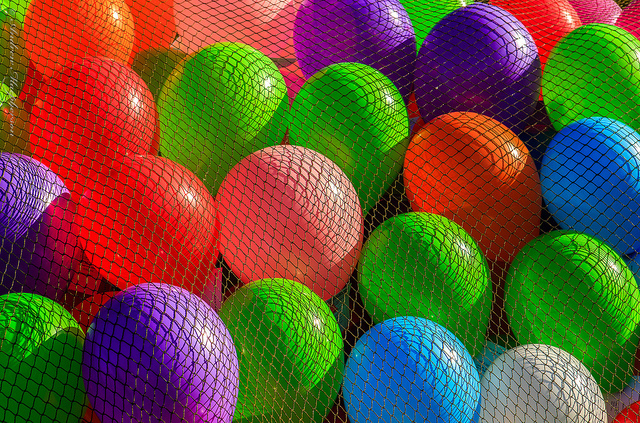 A company called “Bunch O Balloons” created a toy that can be used to fill dozens of water balloons all at once. As you might imagine, this product was an instant hit. However, shortly after they rolled out their product, TeleBrands Corp, you know them as the people who run those “As Seen On TV” commercials and who offer products in stores with that as a logo, seemed to copy their product development definition and introduced a similar product. You might scoff and say that we’re just talking about water balloons here, so who cares? Well, Bunch O Balloons generates US$125M per year from their water balloon filling product. They want to protect their profits and so they have brought a patent-infringement lawsuit against TeleBrands. Launching a lawsuit like this is not cheap. It’s also not clear how this is going to look on your product manager resume. So far it has cost Bunch O Balloons roughly $10M to sue TeleBrands. And things are not over yet. One of the biggest problems that product managers run into when they get involved in lawsuits like this is that for some reason, they never seem to end until one of the parties is exhausted financially. The inventor of the balloon filling toy says that the idea initially came to him in 2014. Since then the company that sells his product is lucky enough to have generated enough profits that they can support the lawsuit against TeleBrands. The company TeleBrands currently has about 50 products that they sell. What’s interesting is that they manufacture nearly all of their products themselves. They introduced their version of the water balloon filling tool in late 2014. They claim that any money that they have generated by selling this product have been spent defending themselves in the lawsuit that was brought by Bunch O Balloons. Things get a bit trickier when you realize that Bunch O Balloons has actually sued TeleBrands a number of times because it has introduced successive improved versions of the toy. TeleBrands denies that they are infringing on Bunch O Balloons design. What product managers need to learn from this water balloon fight is that once a successful product is launched, it will often be quickly followed by a similar product. In some cases, this can cause a costly patent dispute to erupt. Product managers may be confident that they would win any such case, I mean they have the patent, right? However, you need to be aware of how the legal system works. Any such case will result in the spending of hundreds of thousands of dollars just to get the case into court. Once it’s there, you may be facing many years of appeals just to attempt to enforce your patent. Just to let you know how expensive all of this is, it turns out that the median cost of a patent-infringement lawsuit (including appeals), is $500,000. Now this is just for disputes that are less than $1M in potential damages. When the potential damages go up to more than $25M, then the cost of going to court goes up to $3M. Bunch O Balloons has not been satisfied just going after TeleBrands. They have chosen to also go after the companies that sell TeleBrands products. These include Bed Bath & Beyond, Walgreens, and Sears. What TeleBrands is saying is that when they introduced their product, called Balloon Bonanza, there were no patents or published patent applications. A patent was issued to Bunch O Balloons in 2015. When this happened, TeleBrands took a look at the patent and decided that it didn’t pertain to their product because of “prior art,” documents, and other inventions that also came before the Bunch O Balloons product. As part of the lawsuit, Bunch O Balloons has gone before a Federal Patent Trial and Appeal Board who ruled that certain portions of the patent that they were granted were really “unpatentable”. As product managers we all dream of having an opportunity to introduce a hot new product. However, what we need to realize is that we don’t live in a vacuum. If we do introduce a new product that attracts attention, there is a very good chance that somebody out there is going to very quickly copy it. What should we do then? In the case of that water balloon filling toy, the company Bunch O Balloons decided to sue TeleBrands when they introduced a toy that was similar to the being offered by Bunch O Balloons. Bunch O Balloons is using the money that they are making from selling their toy to pay for the costs of the lawsuit. As TeleBrands has brought out updated versions of their toys, Bunch O Balloons has brought more lawsuits against them. It turns out that patent dispute lawsuits are very expensive to engage in. You are looking at spending at least $500,000 and perhaps even $3,000,000. TeleBrands is willing to engage in the lawsuit because they believe that when they introduced their product, there was no patent on record. So far, the patent board seems to have agreed with them. No matter how you look at it, having to take another company to court because their product looks too similar to yours is a big pain for product managers even if you think that it is part of your product manager job description. Yes, it can be done and there are a lot of lawyers who would like to help you out. However, perhaps a much better solution to this problem is to innovate faster than any of your competitors. As you keep introducing newer and more feature rich products, any competition that you might have will fall by the wayside. Question For You: Who do you think will win the water balloon court battle: Bunch O Balloons or TeleBrands?